Modeled after the American federal government, VT state government is composed of three branches; legislative, executive and judicial. The executive branch consists of the state governor and elected officials, the legislative branch consists of both the House of Representatives and the State Senate, and the judicial branch consists of the Vermont Supreme Court. Ask us about VT Government or share your comments. To feature your Vermont business, contact us. 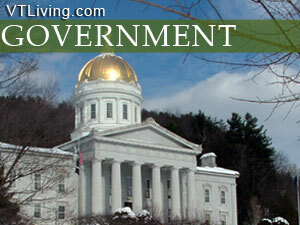 Vermont Federal Government officials are currently two Senators and one Congressman. Vermonters send one representative to the United States House of Representatives and two Senators represent the state in the US Senate. The center of state government is located in the Capitol city of Montpelier. The Vermont State Government meets in the state capitol building. Vermont elections for Governor are held every two years. Town Meeting Day is an annual tradition that provides local residents and property owners an opportunity to discuss town issues and budgets. Vermont’s Town Meeting Day is held in March.